I was in Zambia for a support visit from 18-Oct-17 to 9-Nov-17. I travelled by myself this time while Jane travelled to the U.S. to deliver a presentation about our work at an event organised by one of our supporters – Ceniarth. Here are some of the highlights and lowlights of the trip. This support visit coincided with our need to get our 2nd annual report into DfID UK for the scale-up KYTS-LUSAKA so there was a lot of analysis being done. Perhaps the most significant of these was an analysis of ex-factory sales of the commercial versions of Kit Yamoyo. Of course, we would like sales to be higher. However, Lusaka sales have doubled year on year which we are very pleased with. This is where we have concentrated our market development activity and it is gratifying to see such a big increase. Armed with this analysis I met up with Ralph Siwiti. I always enjoy catching up with Ralf who advised us on sales and marketing as we kicked off the current scale-up projects (KYTS-ACE and KYTS-LUSAKA). 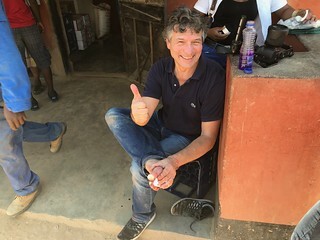 His view was that we should be pleased with the growth in sales and he pointed out that Kit Yamoyo was not a commodity like food or water – it’s something people need occasionally, not every day. So, sales will never compare with those of everyday commodities. This was of some reassurance. However, we cannot afford to be complacent and marketing efforts will continue to be required as our two market development projects come to an end. I bumped into Ralf again during the trip at an event held by the SUN Business Network. This was an extremely enjoyable evening which featured a screening of the film Food Evolution. If you haven’t seen this, I recommend you watch it. It changed my view on GM Crops and Monsanto. The KYTS-LUSAKA Project started distributing Kit Yamoyo vouchers in Sep-16 as a way of enabling particular target groups to experience the kit at a discount. This got off to a really slow start but really took-off in May this year (May-17). 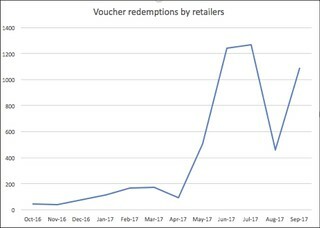 It then stalled badly in Jun/Jul-17 when the wholesaler we have trained to accept vouchers stocked-out of kits, with Pharmanova temporarily unable to meet the sudden increase in demand. This was a real set-back for the project and will have dented the confidence of some Lusaka retailers in the voucher system. 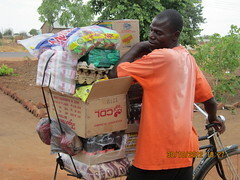 However, manufacture and supply to wholesalers picked up again while I was in Zambia. Pharmanova now has a policy of carrying a minimum stock of 5,000 kits at the factory so that it is always able to fulfil orders from stock. We are very pleased that our MOU with the Ministry of Health was renewed and signed for the second time during this visit. This is a crucial document which underpins and formalises our partnership with the Zambian Government. 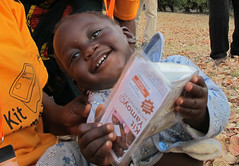 The SUN Programme and the KYTS-ACE Project is focussed on saving children’s lives and reducing stunting. ColaLife’s role is support and capacity building with our long-standing partner, Keepers Zambia Foundation (KZF); ColaLife also provides some co-funds to the project, which delivers the Kit Yamoyo ORS and Zinc co-pack to save the lives of children with diarrhoea, in remote areas, mainly through the public sector. At our first meeting, it became clear that the project had been free-wheeling due to severe funding delays. The claim made by KZF to the SUN programme on 30-Aug-17 had not been paid; in fact, the last funding KZF had received through the programme was on 27-Jul-17. As minor co-funders, ColaLife has tried to help as far as possible. Further enquiries with CARE revealed a number of issues and bottlenecks were delaying release of funds. This is obviously a very sensitive area, but we are grateful to DfID Zambia (one of the SUN programme funders) for stepping in to try and help move things forward. KZF did receive a payment yesterday (21-Nov-17) but only for money already spent. Small NGOs such as our partner KZF don’t have sufficient cashflow to operate for an entire quarter without funding, nor do they have the clout to challenge powerful funders. Visits to Zambia provide an opportunity to give face-to-face support to our key partner, Keepers Zambia Foundation. This time, the support focussed on the inner workings of the KYTS Programme Dashboard and the KZF website. 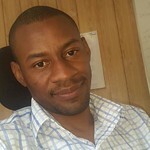 The dashboards are now produced weekly by Albert Saka, the project manager of the KYTS-ACE project and they will now be published here on the KZF website. Earlier in the year I helped KZF get back control of their domain name and set them up with their own WordPress system. They are now able to manage the website themselves with support from me when required. The last few days were very busy. A filmmaker arrived and so did Rohit. Rohit will be in Zambia for a month overseeing the endline surveys for KYTS-ACE. This includes the training of the enumerators, the testing of the household survey questionnaire, putting the sampling framework in place and overseeing the survey itself. He will also support Albert in the implementation of supplementary surveys which will be carried out by KZF staff. The filmmaker, Denis Benoit, arrived from France with a commission from Boehringer Ingelheim (BI) to produce a 4-minute video explaining our work. 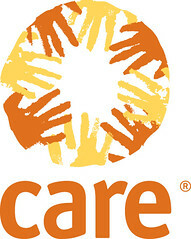 BI support our work through Ashoka and ColaLife won the BI Making More Health Award in 2011. Anyway, walking around in the bush with your eye to the eye-piece of a camera can be dangerous work. The picture shows Denis receiving medical attention after stepping on a broken bottle. The cut was really quite bad but he tells me it’s OK now. We will see the fruits of Denis’ work shortly.